Last December I started melting and fusing recycled glass jars, a potential material – I thought – in which to re-create Arran in the last ice-age with just nunataks visible. I couldn’t control how and where peaks formed, but I loved the element of surprise on opening the kiln. 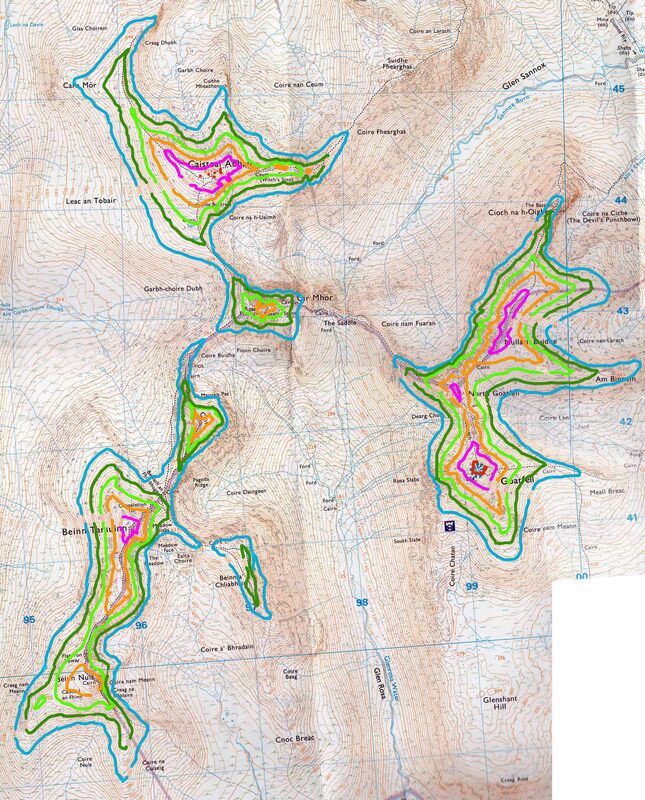 I had it all worked out; carefully delineated the contours of a map with lines in orange, pink and red for granite above the ice, blues and greens signalling what might lay just visible below. I had all the ranges scaled up just enough to fit the kiln. Abandoning all these drawings and models, could have been crushing, but it feels ok. 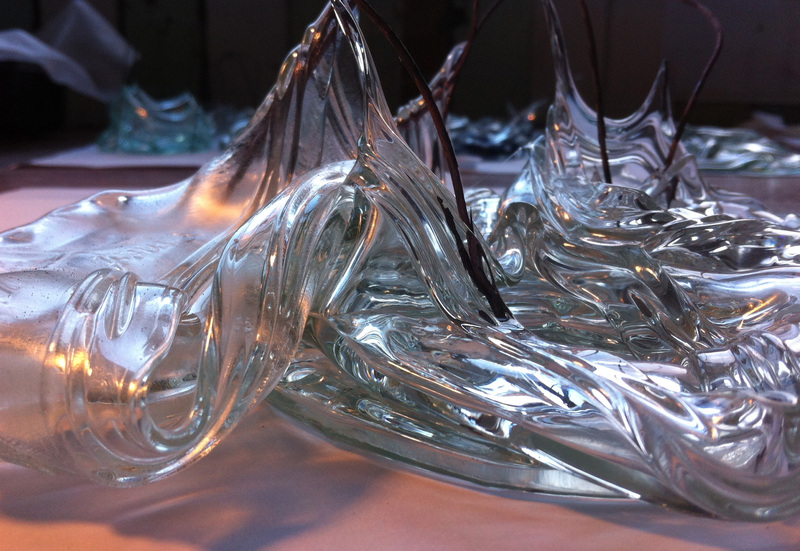 I can imagine possible futures: a research project into the inventor of the contour line (Charles Hutton) and a recycling project where melted glass jars are utilised for being what they are: collapsed vessels. Like the tail of a comet, the residency keeps sparking ideas to be picked up and run with another day. This entry was posted in Uncategorized and tagged Arran, Charles Hutton, Contour Lines, Drawings, Geology, Glass, Granite, Ice Age, Islands, Maps, Models, Nunatak, Recycling, Research, Residency. Bookmark the permalink.